A tipped coffee cup, a loose lid on your water bottle, or a tumble onto a snowy sidewalk — that may be all it takes to turn your precious just-unwrapped gadget gift into a paper weight. Water, dust, dirt, sand, you name it, if it can find a way into your gadget, it’s probably going to. 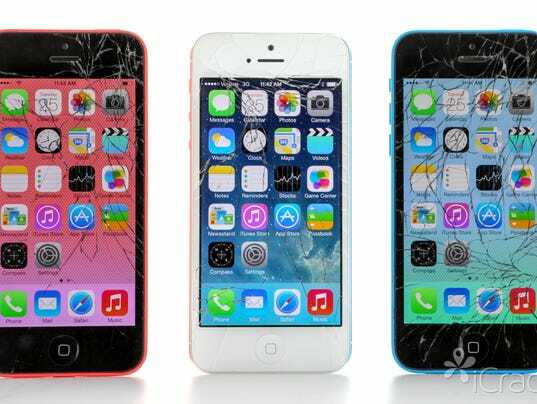 According to gadget insurance company SquareTrade, Americans spent nearly $5 billion on iPhone repairs and replacements just in the last two years. If you’re looking for real protection for your smartphone or tablet, picking up a case from a kiosk in the mall isn’t going to cut it. Even if it has a really cute cartoon character on it or says it’s made of bamboo — if it’s not specifically designed to repel dust, dirt, water, or all of the above, it’s not going to. If you want real protection from the elements, it’s all about reading the fine print. Before you consider dropping some cash, make sure that the case you’re looking at has been rated as either waterproof or, at the very least, water resistant. If a case is rated as waterproof to a certain depth, you can be reasonably confident that it will live up to its billing. Water resistant is a bit more tricky, as anything claiming to be water resistant isn’t actually designed to be submerged in water whatsoever. It can still protect against a spill or perhaps even an accidental trip into the sink or toilet, but not for long. Now that you know the cold hard truth about phone cases at the checkout of the local gas station, let’s talk about some seriously protective skins. LifeProof — LifeProof cases have been around for a long time and that’s because they just plain work. They’re thinner and more discrete than any other case that offers water and dust protection, and with a starting price of around $70, depending on the model, they’re the best bet for budget-minded protection enthusiasts. OtterBox — I’m sure you’ve heard of OtterBox. They make those super-durable cases you alway see at big box stores, and they’re one of the top names in device protection. Most of the company’s cases don’t go to the extreme of protection — water and dust proofing — but the new Preserver series does just that. It fits your phone like a clamshell, keeping it out of the elements so you can keep snapping selfies no matter what kind of conditions you wind up in. Snow Lizard — The SLXTREME cases from Snow Lizard take protection to an almost absurd level. They’re sand, dust, and dirt proof. They’re also waterproof up to 6.6 feet, can take a drop of up to 6 feet without damage your device, and come with a built-in battery backup that keeps your phone kicking long after its normal battery life. Oh, and they even have a built-in solar panel on the rear so you can recharge anywhere you have a bit of sunlight. How’s that for the ultimate in protection? Not crazy about a case? That’s fine — you can just get your entire device waterproofed thanks to Liquipel. Liquipel is like the ultimate secret weapon against wetness. It’s a coating that is applied directly to your phone or tablet that fights off water like magic but doesn’t change the way your gadget looks or works. In order to bless your phone with its protective powers you have to ship your phone to Liquipel where they place it in a special machine. The process takes place in a vacuum chamber where your precious electronic companion gets an invisible coating of high-strength liquid repellent, and once it’s cured, it’s shipped right back to you, looking exactly the same as it did when it departed. The difference is that now you can take your smartphone for a swim. People ask me all the time whether they should get their gadgets insured and the answer isn’t a simple yes or no. Most of the time, it likely isn’t worth it. But, sometimes it saves your bacon. It really depends on how rough you are on your gadgets. It’s usually best to skip the added insurance that many retailers offer, such as plans through a carrier like Verizon or AT&T. Between the premiums and the deductible, many common repairs like fixing broken glass, are worth it. AppleCare+ is worth it if you typically break your gadget at least once during it’s life. It covers accidental damage, extends the warranty, provides new phones — twice — and give you two years of customer support for $99 upfront. Coverage for each accident is also subject to a $79 service fee. Still, it’s typically $200 or more per broken glass fix on most iDevices. SquareTrade is the only other outside insurer than I’ve used and had really good experiences with. The cost of its plans vary, and can exceed the cost of AppleCare+. But you can be covered for up to four replacements. iCracked is an on-demand fix-it service that sends technicians to you. The company is now gearing up to offer a warranty plan that would cap the cost of repairs. That might make the most sense if you’re not up for an automatic upgrade if/when you break your phone. I still think that when you weigh the cost of insurance with the cost of a really great protective case, the cases make the most sense. But since you know yourself and your cash flow better than I do, you’ll have to really figure out what works best for you. Just don’t put your smartphone anywhere near a large horses’ hoof. Consider yourself warned.